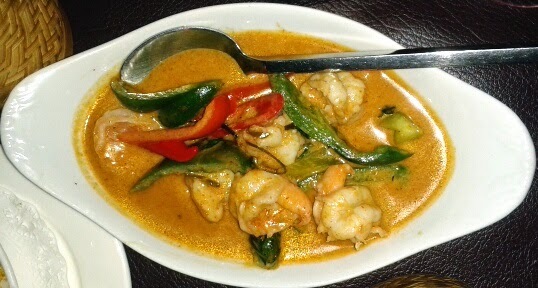 In search of something spicy on a Tuesday evening in Islington, we stumbled upon this little Thai restaurant, a few minutes walk from Highbury tube. The offer of a curry for £5 (Monday-Wednesday) lured us in, and although I'm not going to rave that it was the best Thai ever, it was quite adequate. A cosy little room, with tables for two or four, it was quite easy to chat and not do too much people-watching - although the Canadian couple at the next table (approximately four inches away) proved interesting and we got to show off our local London knowledge. The staff were attentive enough - it wasn't particularly busy, and we weren't rushed - so we were able to relax, despite having to pour our own wine. And one waiter must have singed his arm on the candle when serving our main course, but he didn't complain! 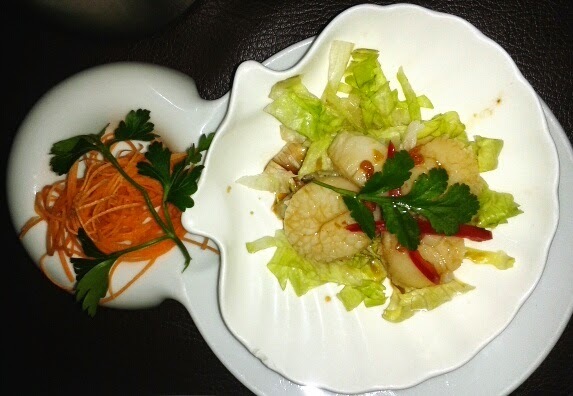 For starters we shared Hoi Nueng, steamed scallops in a light soy sauce topped with fried garlic; and Tempura Pak, deep fried vegetables in batter served with a sweet chilli sauce. The scallops were tender, doused in just the right amount of soy sauce, and I do love that crispy fried garlic taste. 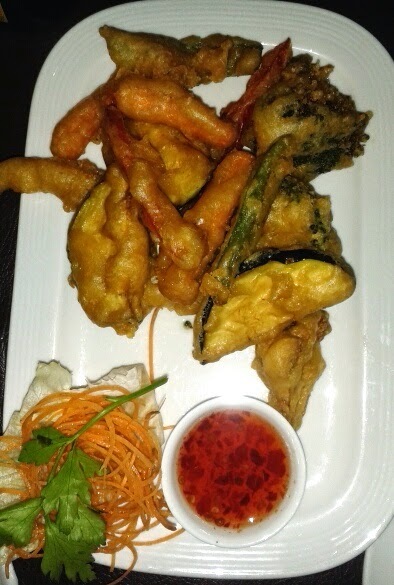 The tempura was fine, though I've had lighter batters, and the portion size was adequate. For main course we had Kang Kiew Wan, Thai green curry with chicken, my absolute favourite Thai dish, with sticky rice; and Prawn Panang, with egg fried rice. Only four curries come under the £5 offer, luckily both of ours were included. The rice, of course, is extra. Both dishes we perfectly fine, well cooked with all the expected flavours. I found the green curry sauce slightly thicker than I would usually like it, but the Panang was rich and had a great depth of flavour which worked really well with the prawns. 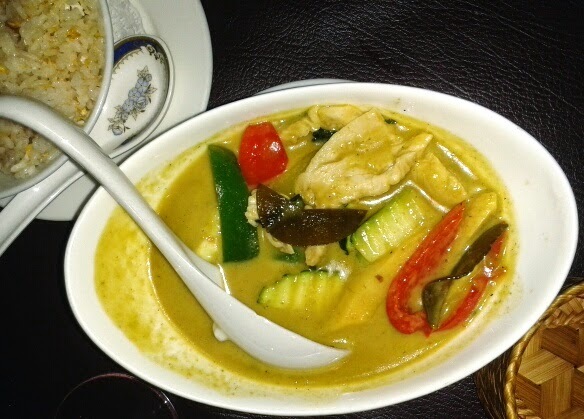 I would probably return if I just wanted a quick, good value Thai meal near Highbury, although the choice of cuisine on Upper Street is so varied, almost limitless, it would be a shame not to try somewhere different. There were a few lone diners, I noticed, which shows it is pretty good value for money, and has that casual, relaxed feel. Less of the fine dining I fear, but none the worse for that.